Glenn Ford, an exonerated convict who spent almost 30 years in solitary confinement for a murder he did not commit, died early Monday in New Orleans at the age of 65, the Times-Picayune reports. 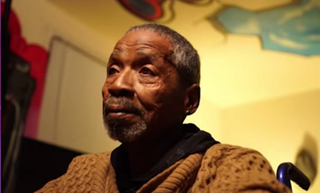 Shortly after being exonerated and released from Angola on March 11, 2014, Ford found out that he had lung cancer. Supporters told the news site that he died at 2:11 a.m.
Ford was found guilty of the 1983 murder of Isadore Rozeman, a 56-year-old jeweler and watchmaker for whom Ford did some yard work. Ford had always insisted that he was innocent. Last March, State District Judge Ramona Emanuel vacated his conviction and sentence after new information was uncovered backing up his longtime insistence that he was not there when Rozeman died and was not involved in the death in any way, according to the news site. His supporters have said that he was the longest-serving death row inmate in the U.S. when he was released. Despite his decades in prison, Attorney General Buddy Caldwell's office filed a petition in an attempt to stop Ford from receiving compensation for his time wrongfully spent in prison. The attorney general's office claimed that Ford did not meet the law's "factually innocent" provision, which mandates that the individual should not have committed the original crime for which he or she was convicted, nor "any crime based upon the same set of facts." A district court judge agreed with Caldwell in a ruling three months ago, saying that Ford knew about a plan to rob Rozeman and did not try to stop it, and also took and sold items that were stolen during the robbery. In addition, the judge said that Ford tried to find buyers for the weapon that was used to kill Rozeman and also attempted to obstruct the police investigation, having initially given a false name for the man he ultimately identified as the killer, the Times-Picayune reports. Ford was waiting for rulings on separate federal lawsuits filed to get him compensation for his time in prison as well for his health. He claimed that he did not receive adequate care while incarcerated. Read more at the Times-Picayune.